14 creatures and 6 colors - crab, dolphin, frog, lobster, octopus, penguin, seal, seahorse, shark, starfish, stingray, swordfish, turtle and whale. Six colors are red, orange, yellow. green, blue and purple. 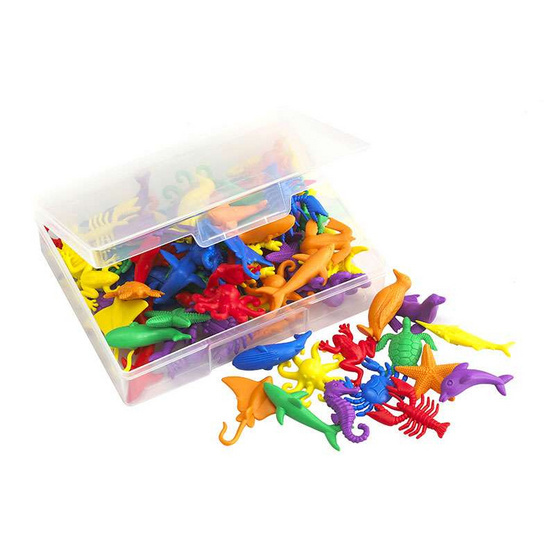 Set of 84pcs in sturdy plastic container.